The apex court had said that if they go for live-streaming, it will start off with one court as a pilot project and it could then be extended to the remaining courts. 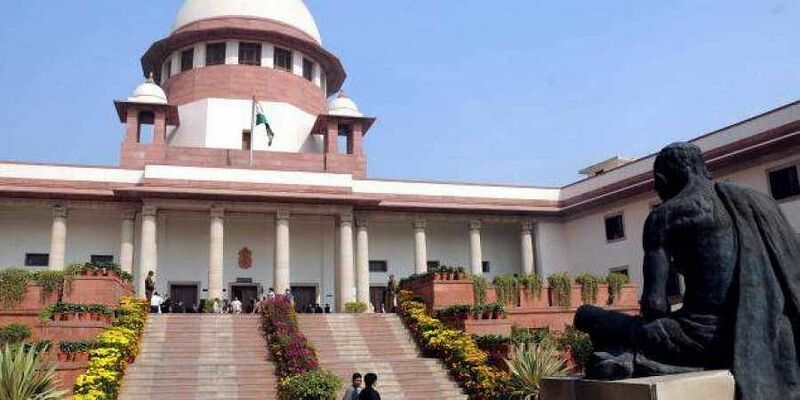 NEW DELHI: The Centre on Monday informed the Supreme Court that, to begin with, it favoured live-streaming of hearings by Constitution Benches and Court Number one presided over by the Chief Justice of India. Attorney General K.K. Venugopal told a bench of Chief Justice Dipak Misra, Justice A.M. Khanwilkar and Justice D.Y. Chandrachud that initially a screen could be installed in a hall where lawyers not appearing in the matter but nevertheless interested, as also interns, could sit and watch. It will help reduce crowding in the courtroom, he said. The top court had on February 9 sought Venugopal's assistance while dealing with separate petitions filed by senior counsel Indira Jaising and Swapnil Tripathi. Jaising sought the live-streaming and videotaping of court hearings on issues of national importance that have a bearing on a large section of people. Jaising cautioned against the misuse of such recorded proceedings as she sought "all safeguards" to be put in place to ensure that there was "no commercial use" of the recordings. Jaising told the bench that the safeguards could include no reproduction of recorded footage by anyone, no matter how small or big, without the court's permission. As lawyer Mathews J. Nedumpara sought the bench's permission to be impleaded as a party in the matter, he was told to assist the Attorney General. "Let the justice system take the credit and not an individual," Justice Chandrachud remarked as Nedumpara said that if he was not allowed to be impleaded, then the cause will not get highlighted. In the last hearing on July 9, the court had said that the live-streaming will bring in transparency and facilitate access to justice since the litigants will know what had transpired during case hearings. "I may not be present in the court, yet I will be able to know what is happening," Justice Chandrachud had said while pointing out that clients/litigants have the right to know if a matter was adjourned, and why. "We are only enforcing the principle of open-court hearing," the court had said. The Attorney General had told the court during the last hearing that the central government will set up a dedicated channel like Lok Sabha TV and Rajya Sabha TV if the apex court decided to go for live telecast of its proceedings.